Graham Kings, Patron of this Project, is an Honorary Fellow in the Department of Theology and Religion of Durham University, and Honorary Assistant Bishop in the Diocese of Southwark. He was formerly Mission Theologian in the Anglican Communion. Prior to this post he was Bishop of Sherborne; Vicar of St Mary's Church, Islington, London, where he co-founded Fulcrum; Lecturer in Mission Studies in the Cambridge Theological Federation, Affiliated Lecturer in the Faculty of Divinity, and founding Director of the Cambridge Centre for Christianity Worldwide; Vice Principal of St Andrew's College, Kabare, Kenya (as a CMS Mission Partner); and curate at St Mark's Church, Kensal Rise, London. He studied at the universities of Oxford, Cambridge and Utrecht. He is a published poet, and has written for The Times and The Guardian, and books on theology of mission, Kenyan liturgies and theology and art. 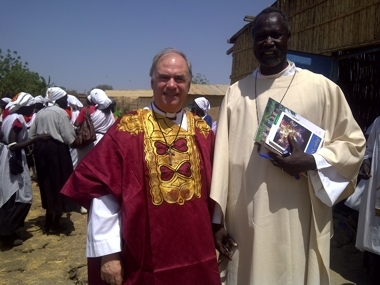 He is an Honorary Assistant Bishop in the Diocese of Southwark and Durham. He is married to Alison Kings, a psychotherapist, and they have three daughters. Articles concerning this new post are in The Times and The Living Church.